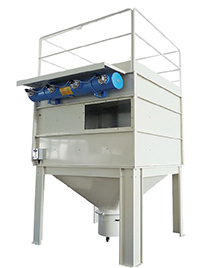 The DCL cartridge dust collectors are compact dust collectors used in various fields of application and replace the bag dust collectors with the same filtering surface, saving a lot of space. Air and dust enter an opening in a wall of the dust collector (extraction). 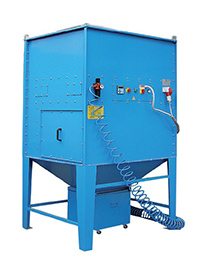 The air-dust separation takes place through a suitable filtering fabric with special coatings that depend on the application. The dust falls into a container on wheels, easy to extract. 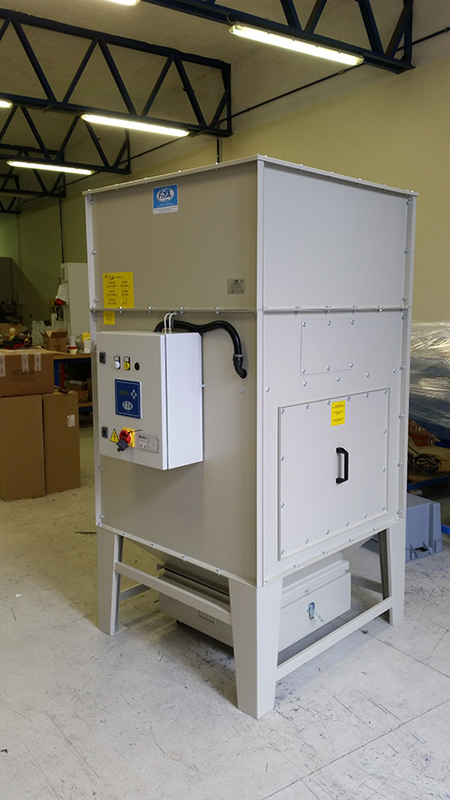 The constant cleaning of the filtering panel is ensured by a compressed air ‘PULSE JET’ system that sends a jet of compressed air regulated by a low voltage solenoid valve at regular intervals. An appropriately soundproofed electric fan is fitted in the upper part of the dust collector (in the larger models, the fan is separate). 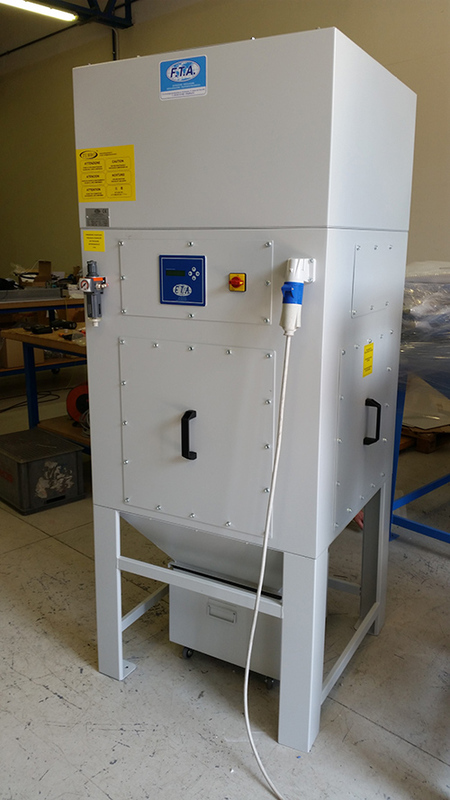 The dust collector normally has a connected control panel, ready for operation. If the dust collector is outside, it should be protected from bad weather and the control panel should be inside the building. 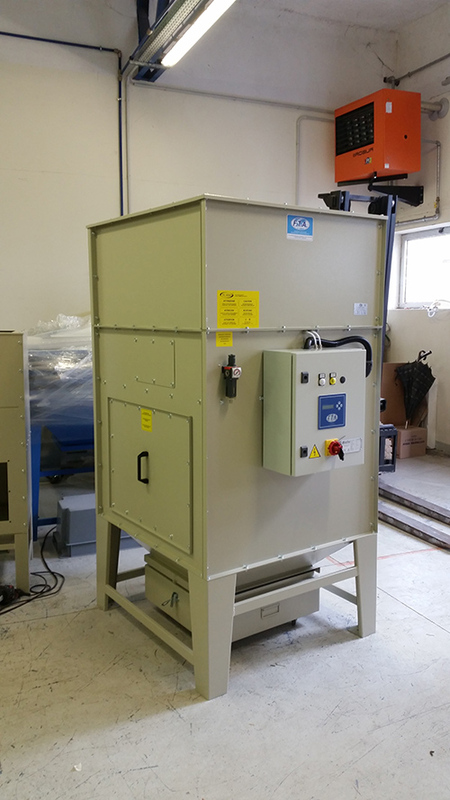 The standard versions of these dust collectors have a nominal capacity that ranges from 900 to 6000 Nm3/hr; in addition, there are other versions with a higher capacity with a separate fan. The supply (clean air) is normally channelled upwards to connect it to the supply hoses (chimney). 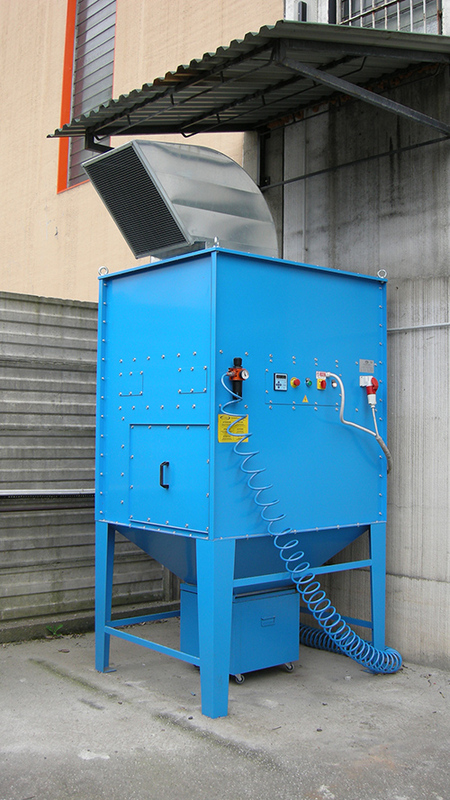 The DCL series dust collectors in this section are basic models. 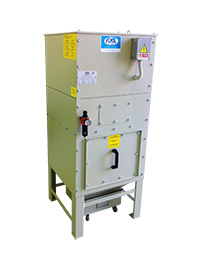 They are also available in different sizes, capacities and power for additional particular requirements. Contact us for more information.